“Kin-un” are clouds and mist expressed with gold leaf and gold paint. In addition to suggesting changes of time and space as well as perspective, it has a highly decorative effect. In the modern era, gold paint and gold leaf began to be used to give thick texture. Golden clouds became a stylistic expression. The effect of a lingering impression and implicitness together with mist is extremely suitable for expressing the Japanese aesthetic. This is a painting of Mt. Fuji and the cherry blossoms by Tomo Katou. The sublime form of Mt. Fuji has been an object of worship through the ages. It is a symbol of immortality for the Japanese people. Mt. Fuji will never change. On the other hand, cherry blossom trees are seen all over Japan. Cherry blossom trees in the same region bloom at the same time during spring, and the flowers fall soon after (often only lasting around two weeks). The cherry blossoms are very impressive. They are, so to speak, a symbol of transience. Tomo Katou expresses the difference between the time axes with “kin-un.” The effect of the “kin-un” is wonderful. This is not a mere spring landscape painting. In this painting, there’s the worship of the magnificence of Mt. 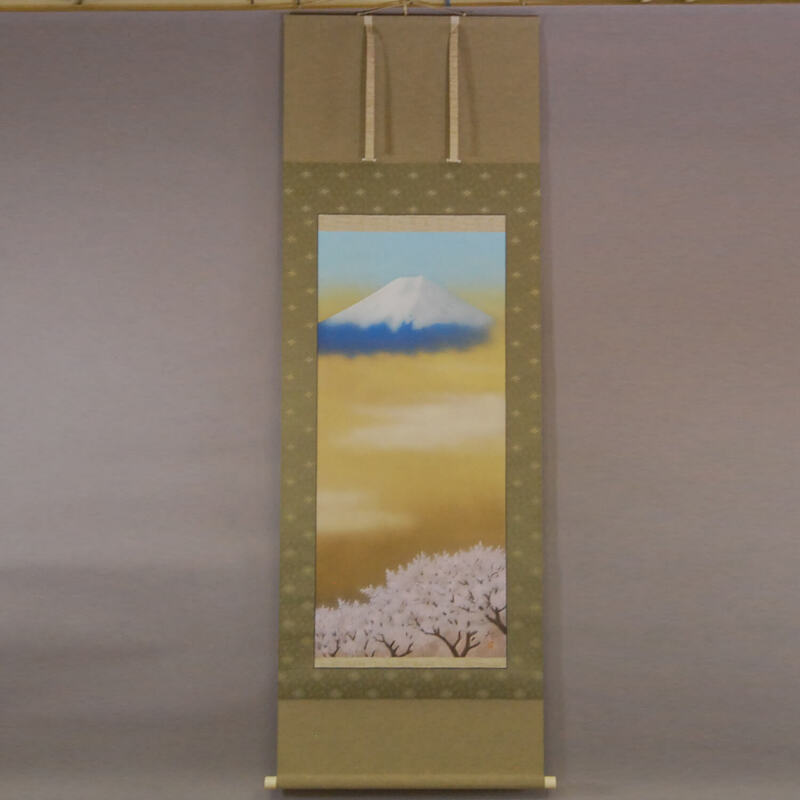 Fuji, and the beauty in transience, which is one of Japanese aesthetic styles. ※Up to 3 MB for each file. Please confirm the above contents again and check this button.